Think of all of the activities revolving around this single kitchen appliance – cooking, eating, drinking, then finding things to reheat and eat later, then shopping for fresh food to replenish it. What if your fridge did all of that for you? 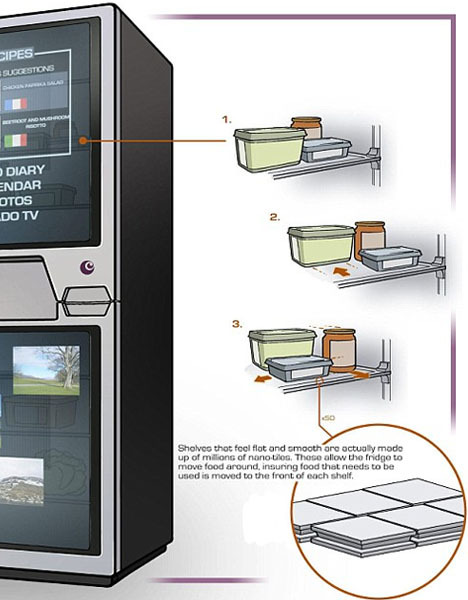 This clever all-in-one digital refrigerator design from Ocado proposes to take the mystery out of your meals, suggesting recipes based on what ingredients it contains and even placing orders for new foods when something is running low. Moreover, and perhaps more importantly for people with particularly busy lives, it keeps track of dates, watching for what is soon to expire to reduce waste and save money. Oh, and it cleans iteslf, too. Right, but how does it work? 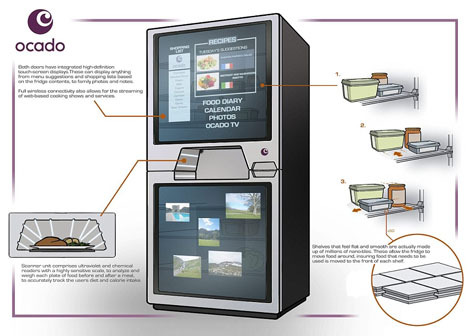 It has built-in product scanners inside that help identify what is in stock and how aged a given ingredient may be . 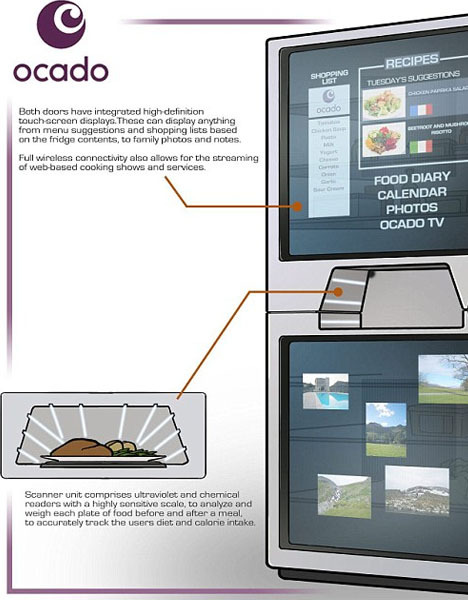 The internal computer is hooked into (you guessed it) the Ocado supermarket chain, letting it know what you are lacking (and what you like). Whether the digital system can beat your secret family recipes is another question, though. As with many concepts, it may be a while before we start seeing these on the appliance store shelves. Also, while users may be beguiled with touch screens and the like, it is hard to say whether people will be prepared to let a large corporate chain know their daily dietary habits.